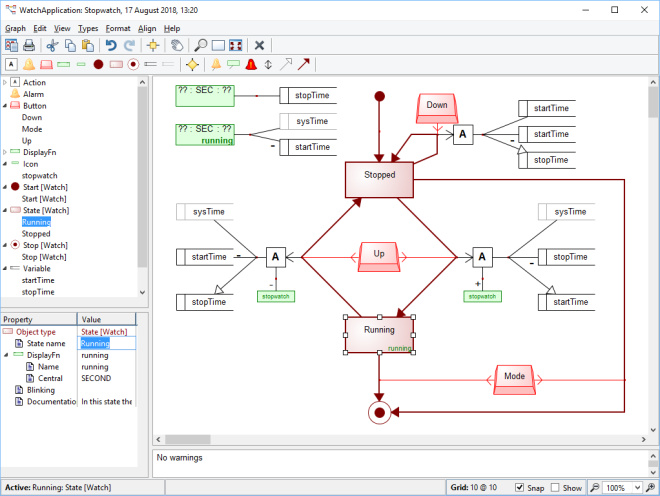 The Diagram Editor is a tool for creating, managing, and maintaining design information as diagrams with advanced features such as reusing the elements in multiple diagrams, copy-paste with options and model refactoring and replacement tools. It supports visual modeling of graphs and linking of several graphs through explosions, decompositions, and reused components. You can reuse your designs, link design models at different phases and levels, and export to other tools such as web-browsers, image viewers, and text editors.